from kits at the HGMS Beaders’ Section meeting Saturday April 21 from 1:30 pm till about 3:30 pm. Kathy Jolly showed how to make a colorful glass bracelet at the HGMS Clubhouse in southwest Houston. Bowerbirds offers kits with everything you need to make a bracelet in a wide assortment of colors and styles on our Etsy site. Detailed instructions included with each kit teach a technique to add to your jewelry-making skill repertoire just in time for Mother’s Day gifts. Bowerbirds offers both handcrafted jewelry and supplies that you can use to create your own beautiful art. Bowerbirds offers a variety of carefully chosen supplies, including glass bead mixes, collectible glass beads, art wire and tools. We offer the same items that we use ourselves, and illustrated instructions describing how to use them. Bowerbirds jewelry is designed and handcrafted by Kathryn Jolly, using vintage and collectible glass beads, her own fused glass, pearls, and both art wire and precious metal wire. Bowerbirds also offers selected jewelry by other artists. 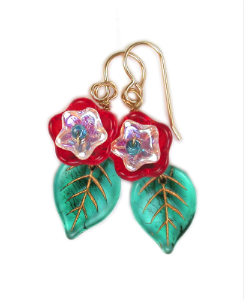 Come to a show in your area to see our incredible selection of Czech pressed glass beads, some of which are also available in our Online Bead Shop; clear instructions and materials for beaded wirework jewelry; Mary Lowe Lukacs’ fantasy flower beads and vintage findings; custom bead mixes; colorful niobium earwires, silk neck strings and more. Order supplies and jewelry from us here between shows. 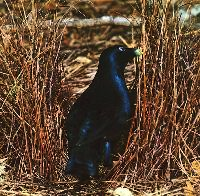 E-mail your requests to Bowerbirds1@aol.com and let’s talk. Thank you for visiting the Bowerbirds website. Keep up with our doings by liking our Facebook page, Bowerbirds Jewelry and Supplies, and drop us a line. Share your dreams and make them real.